This new attraction replaces the Shrek 4D attraction in the former Panasonic Theater. The Shrek attraction was a fairly straightforward 3D movie with 4D elements such as wind, water and moving seats, along with some interactive projection and lighting elements (such as strobes, waterfall effects, lava and spider projections). 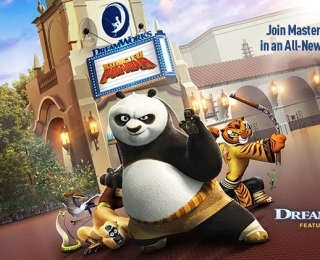 From the concept rendering shown in this video, it’s possible that Kung Fu Panda will be a more immersive movie experience, featuring a much wider image, possibly using the Korean ‘ScreenX‘ format, featuring projection onto the walls either side of the screen, putting the audience right in the middle of the action. The main action will remain on the centre screen, but additional atmospheric and effects footage will happen on the side walls. The original Shrek 4D experience featured some lighting effects on the walls beside the screen, but these were only partially successful (and very dim by the time the attraction closed). 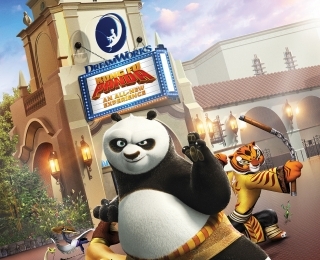 With DreamWorks Animation’s recent acquisition, Universal Studios Hollywood will soon roll out the red carpet for an all-new DreamWorks Theatre presenting the premier attraction, “Kung Fu Panda: The Emperor’s Quest.” Opening in 2018, this newly designed venue will play host to a variety of action-packed DreamWorks Animation themed attractions, beginning with the multi-sensory adventure inspired by the global blockbuster franchise, Kung Fu Panda, and created in partnership with Universal Creative and DreamWorks’ Artists. 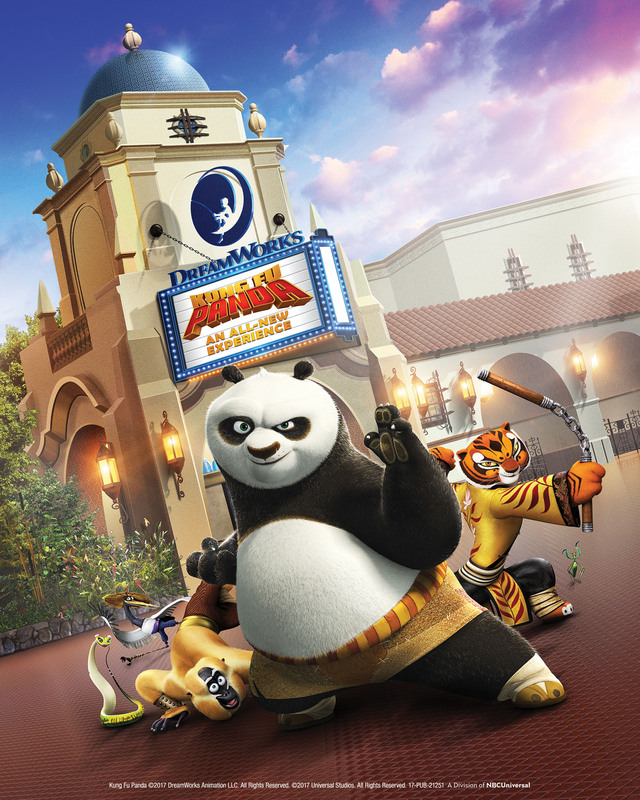 This new technologically-advanced attraction will take guests on a legendary journey that fuses captivating storytelling with state-of-the art projection mapping and LED lighting effects for a highly engaging and immersive, unstoppable-awesome experience.